Get ready to break out the incense. 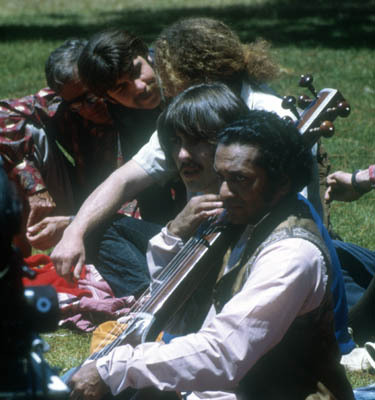 On October 19, Dark Horse Records will release Collaborations, a limited-edition 3 CD/1 DVD set of music by George Harrison and his mentor, Indian master musician Ravi Shankar, recorded over a period of twenty years. The CD portion covers Chants Of India (1997), The Ravi Shankar Music Festival From India (the 1976 studio version) and Shankar Family & Friends (1974). The DVD, Music Festival From India, features a live 1974 concert from Royal Albert Hall, with Shankar backed by a 17-piece Indian classical ensemble.